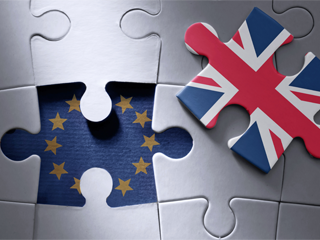 Some had misgivings about whether the EU was overstepping its competences in invoking Article 7; this is a legitimate concern but one increasingly overtaken by events. A closer look at who voted how and why, based on MEPs’ statements, suggest that two additional constituencies—whose support will be essential for righting the illiberal trends in Central Europe—are holding out. Did MEPs from Central Europe vote to sanction Hungary for rule of law breaches? If not, why? This is not an academic question. A meaningful course-correction in Hungary (or Poland, for that matter) will not come through reprimands alone. Pressure has yielded partial concessions, but the governments in Budapest and Warsaw have broadly stuck to their guns. A more sophisticated strategy from the rest of the EU would blend punitive measures with a reflection on how to win allies in the region to halt the illiberal slide, as my colleague Richard Youngs has argued. For now, the moves against Hungary and Poland have had a divisive effect. This is not an argument against invocation of Article 7 but a note that it carries consequences. Judging by votes cast in the European Parliament (EP) last week, Central and Western Europe are drifting apart. While MEPs from West European member states voted to sanction Hungary by 4 to 1, the Central Europeans barely mustered a simple majority. Most Bulgarian, Czech, Slovak, and Slovene delegations voted against. The Croats were split 5-5. Only the Baltic and Romanian delegations voted solidly in favor. Hungary—whose ruling Fidesz party is well represented in the EP—voted against, as expected (5-14), but the Polish delegation actually skewed the results in the opposite direction, voting 23-22 in favor of the reprimand, with five abstentions (this mostly due to the residual strength of the Polish opposition in the EP). Worryingly, the unpopularity of the punitive action against Budapest extends to opposition parties in Central Europe, who have little political reason to support the ruling elites in the region. And it goes beyond the anti-EU fringe parties too. 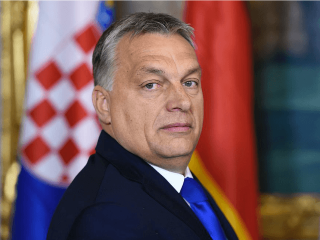 A number of politicians who ought to be natural allies of the European Commission and the other EU member states in preserving democracy and rule of law have voted against sanctioning Hungary. Some had misgivings about whether the EU was overstepping its competences in invoking Article 7; this is a legitimate concern but one increasingly overtaken by events. A closer look at who voted how and why, based on MEPs’ statements, suggest that two additional constituencies—whose support will be essential for righting the illiberal trends in Central Europe—are holding out. The first are the “reasonable” social conservatives, mostly Christian Democrats. They feel stranded in an EU whose main political divide increasingly pits anti-modern arch-conservativism against the 1968 generation of West European liberals. The latter rightly feel that their value system is under attack. But the more that West Europeans respond by defining modernity in narrow and exclusive terms—as an ironclad commitment to an expansive set of rights that their own societies would not have signed up a decade or two ago—the more they push centrist voters in the conservative corners of Central Europe into the arms of the anti-EU fringe. It should be of concern that MEPs from centrist forces such as the Czech Christian Democratic Union voted against Article 7; these are no Orbanites. A key strength of the EU has traditionally been its ability to accommodate various forms of diversity without jeopardizing unity, and that is lesson best not forgotten. This is not to say that rights should remain static as attitudes evolve, but Ireland and Spain were given time to change at their own pace, and that approach has served the EU well. The second Central European constituency to have broken from the majority on the Hungary vote consists of a cross-party group of MEPs who don’t buy Viktor Orban’s politics but identify with his opposition to mandatory quotas for asylum seekers. No, this does not automatically make them “euroskeptics.” MEPs from Slovakia’s liberal parties—for example, SaS and NOVA—are anti-authoritarian and pro-EU but oppose mandatory quotas on merit and resent the way quotas came about (that is, by a qualified majority vote). One can reasonably ask why asylum quotas matter more than democracy and the rule of law. The explanation—not the excuse—is that the migration debate touched a raw nerve east of the Elbe, for reasons that Ivan Krastev lays out in a recent interview with the Erste Stiftung. Migration has become an all-defining issue that makes sensible public debate in Central Europe on other EU matters, including Article 7, difficult to impossible. The reform of EU migration policy, under discussion at this week’s EU summit in Salzburg, presents an opportunity to broaden the choice before member states beyond a binary yes or no to quotas. Burden-sharing and solidarity, as Carnegie’s Stefan Lehne notes, can be demonstrated in a number of different ways. The sooner the EU moves in this direction, the better the chances of mustering the political majorities needed to push back against authoritarian tendencies in Central Europe.